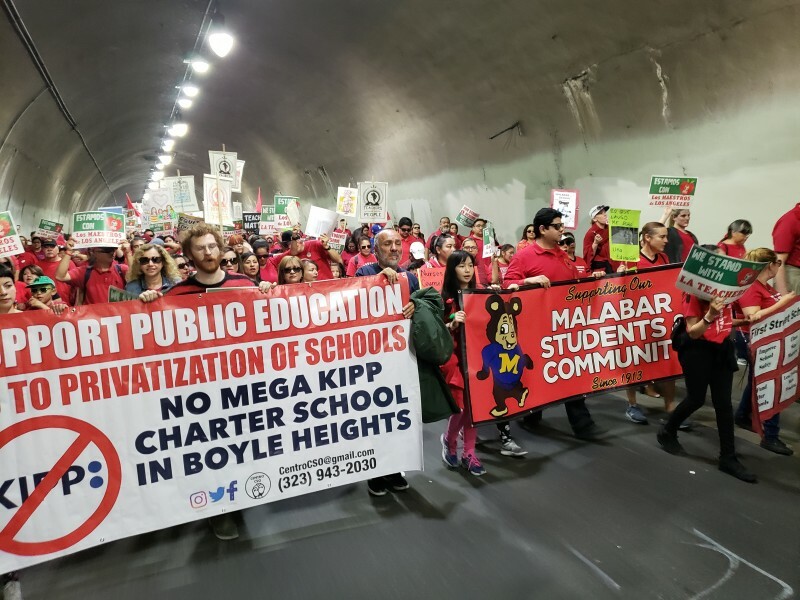 The WFTU stands on the side of the Los Angeles teachers | Fight Back! The World Federation of Trade Unions (WFTU), representing 95 million workers in 130 countries across the globe, sends its internationalist and militant greetings to the teachers of Los Angeles who took the streets and organized a huge strike in order to defend their labor rights. 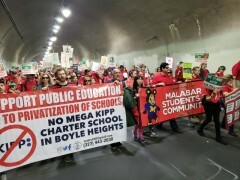 During their mobilizations more than 30,000 teachers signed in on picket lines across Los Angeles, more than 900 schools sites also participated while more than 10,000 parents, students and working people showed their solidarity with the teachers in struggle. The strikers not only have been struggling for a public education but they also intend to rebuke the anti-worker agenda which seeks to starve and privatize the schools. The class-oriented WFTU family will firmly continue to support the strikers’ rightful demands against the anti-worker US bourgeois government’s agenda. We call upon the US working class to join its voice with the strikers and to demonstrate their solidarity with the LA teachers in their struggle for a quality, public and free education system. LA teachers are not alone!